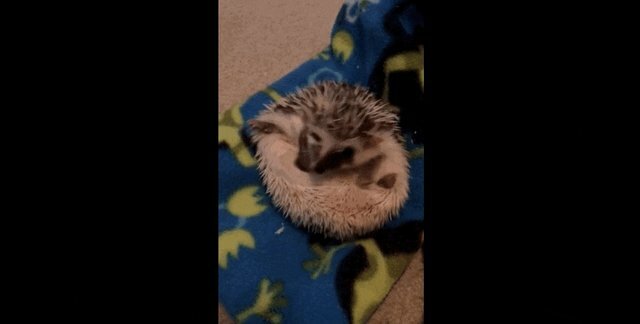 Pippin the hedgehog was happily curled into a ball and decided to uncurl himself when he realized ... he couldn't. 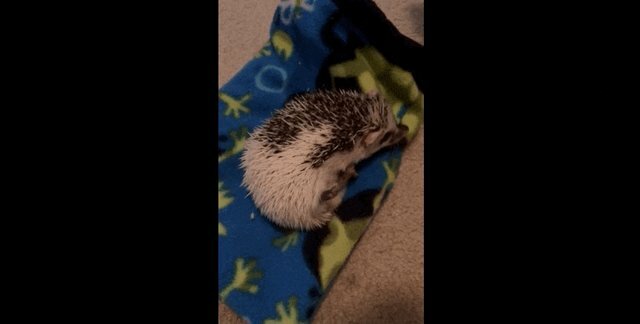 Somehow, the little hedgehog had gotten himself stuck, and was having a LOT of trouble trying to roll over again. ... to no avail, until FINALLY, he was able to slowly roll over, uncurling as he went. Pippin's parents watched the whole ordeal and couldn't help but giggle. Because let's face it - it was pretty much the cutest (and most ridiculous) thing ever. Before welcoming a hedgehog into your family, make you know how to care for them and the laws around keeping one. 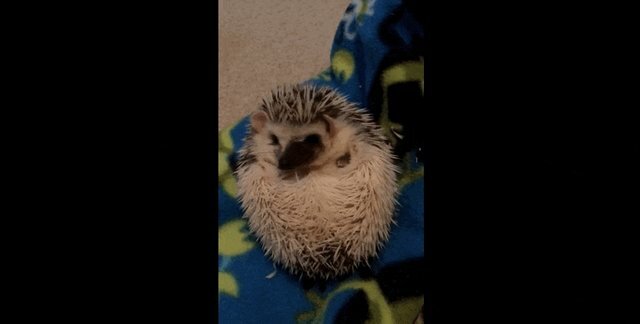 If you do decide to adopt a hedgehog, there are many rescue organizations with hedgehogs who need loving forever homes.